Any woman 18 to 35 years old is considered a Junior. 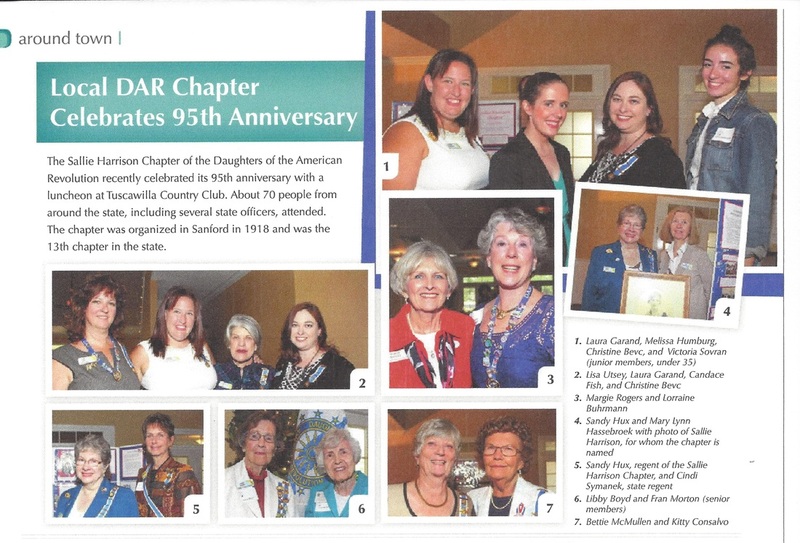 These women hold full DAR membership, and may serve as an officer and chairman at the national, state, and chapter levels. Junior Members attend meetings, volunteer to serve on committees, and gain valuable leadership experience. To learn more about what a Junior is and what DAR Juniors do, please Contact Us. Each year, Sallie Harrison Chapter Juniors participate in a variety of activities, including parades, social gatherings and commemorative events. In addition, there are two Junior Socials each year to provide a special opportunity for our younger members to learn more about DAR and the ways they can be more active in the chapter. Local coverage of Sallie Harrison's 95th Anniversary, featuring our Junior Members. 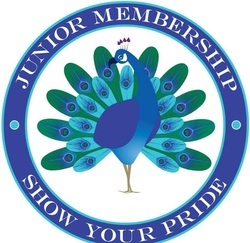 Junior members are also eligible to serve the State and National Society in a range of capacities, including paging and chairmanships of various committees. Sallie Harrison Chapter Juniors are active and enthusiastic in their service to the chapter and Florida State Society. The Sallie Harrison Chapter was honored to be represented by three of our Junior Members, who served as pages at the 112th State Conference of the Florida State Society in April 2014. As pages, they supported the conferences activities and events through setting up the meeting, lunches, and working in the Junior Shop. 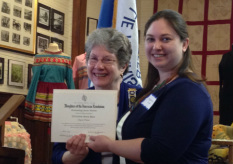 Each year, our chapter recognizes our Outstanding Junior. This is a way to honor young women who have truly promoted the aims and purposes of the National Society, as well as participated in community activities. We are proud of our 2013-2014 Outstanding Junior, Christine Bevc. Learn more about how to join Today's DAR.